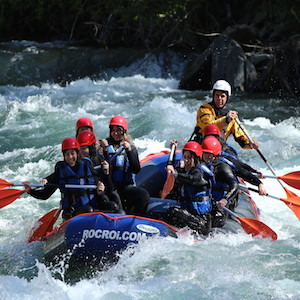 Starting with a 4x4 ride into the wilds of Costa Rica’s tropical jungle with breathtaking scenery of more remotes areas of the Savegre, this river provides Class II, III, IV rapids that are manageable in sturdy rafts that can accommodate 2 to 6 people comfortably. Our guides stop at locally know swimming spots and waterfalls, on most trips, rafters will observe osprey, toucans, parrots, kingfishers, cormorants, and a lot more. After a steady 13 mile trip a hot lunch “Tico Style” and refreshment are waiting! Price $90 p/person per ¾ of day category IV, V, and $95 per full day (I, II ,III,) Bring: sturdy sandals, bathing suit, sun block, bug spray. Schedule 8: 00 am. 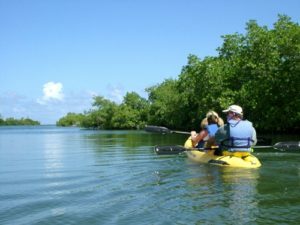 Paddle comfortably or just sitting in the boat, as an intimate group under the shade of several tall species of mangroves, which grow only in select areas of the word and in Costa Rica. Its exotic flora and fauna is highly recommended for nay naturalist, young or old, who wants to experience first hand the pulse of the mangrove ecosystem. And after your adventure yet depending upon the time your trip began, enjoy a delicious and well deserved Tico Style meal (a hot breakfast, lunch or dinner). Price $65 per person. To bring: Comfortable clothing, sturdy shoes, bathing suit, camera, and sunscreen. Transportation is included, all the equipment needed, and a bilingual guide also. Schedule: Depends on tide and last about hours. This in an excellent activity that you definitely have to do if you are here in Mª Antonio, snorkelling, swimming, spectacular sunsets, dolphins and marine life, professional crew, magnificent coastal views, will be your accompanying in this tours, you will get to meet the dolphins, and depending on season whales too. Lunch or dinner included, depending on tour time, music, and professional guided. Price $80 per person. Bring: bathing suit, camera, and sunscreen. Transportation and all equipment are included. Schedule: 7:30 am / 2:00 pm. Afternoon tours not available in raining season. 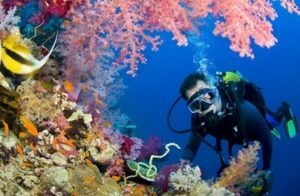 With a short course and the skills we teach, you will learn the fundamentals, necessary for the safe scuba diving, if you enjoy nature; you will love Costa Rica below the surface, and on board you will find the required Coast Guard equipment. 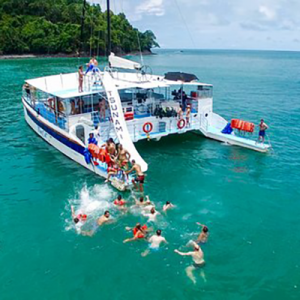 Our goal is to offer our guest, comfort safety, customer satisfaction and most importantly a fun diving experience. The adventure begins near the developing Manuel Antonio coastline. Feel free to have your bilingual naturalist guide direct you to the best snorkelling spots as you experience three small but growing active and astound coral reef systems nestled very close to the shore of Biezans bay. Over all this kayaking adventure is fun for just about everyone yet it is a terrific way to experience the exotic Costa Rica coastline in a way that only Manuel Antonio can be shown. Price $75 per person. Bring: Bathing suit, camera, all the equipment required, transportation, snacks and drinks. Schedule: 8:00 am / 1:00 pm. 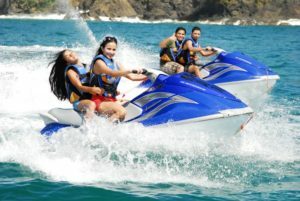 Go on a unique, thrilling and safe guided Jet Ski safari, where you will have the chance to enjoy the incredible Manuel Antonio coastline and nearby islands. Enjoy the active marine life and vast array of sea birds all while playing in zippy jet skis and learning about the unique history of the area. Along your ride, you will search for dolphins, whales and sea turtles and then make a stop to snorkel and swim in the cool tropical waters. Your knowledgeable guides will make sure that you have an experience to remember! Each tour includes hotel transfers, marine entrance fees, all necessary equipment, snacks and refreshments and of course, your knowledgeable bilingual guide. Tours leave four times each day at 7:30am, 10:30am, 1:30pm, the price is $130 a single, and $160 for a double. To bring: bathing sweet, towel, sun cream. Take a lesson and give it a try. The qualified surf instructors in the area are knowledgeable and have extensive experience in the waves here in Quepos and Manuel Antonio and know the very best surf spots and know where, when and how to catch the best waves. 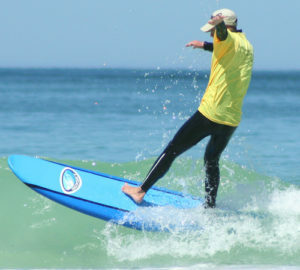 All instructors speak English and are certified by ISA (International Surfing Association) in Costa Rica as well as highly trained in water safety and First Aid. The surfing tour is at 8am or 2:30pm. It will be $65 for 2 hours with the tutorial person and 1free hour with the board, or $40 for 1 hour with the tutorial and 1 hour free with the board. The tour includes transfer and snacks. 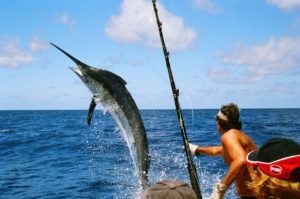 The coast of Quepos is quite literally alive with Pacific Sailfish, for which the area is famous, as well as three different species of Marlin, Yellow fin, Tuna Dolphin, Cubera Snapper, Roosterfish and much much more. Enjoy sport fishing at its best in top quality boats with expert bilingual guides with extensive knowledge and experience with the utmost standards in quality and equipment. All charters offer tournament quality IGFA tackle and bait, bilingual guides, transportation, snacks and refreshments (meal included for full day tours) and fully equipped boats. Tour in shore and off shore available, prices $846 and $745 full day off shore, half day in shore between $625 and $525. You will be amazed by the number of colourful birds, mammals and other exotic creatures encountered along the way. Mist-filled jungles, hidden waterfalls and unworldly views await you in these adrenalin-charged adventures. 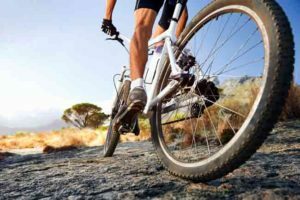 In addition to the regularly offered mountain bike tours below, Estrella Tour can customize an adventure to perfectly suit your needs. During the high season from December to April, Sunset rides are also available. Ride out to a vista point to watch the sunset, then return (with headlights) after sunset. Beat the heat with this pleasant option. Prices from $65 to $95. Bicycle rentals available, prices from $20 to $15. Come and experience the most unforgettable adventure tour this area has to offer. Your bilingual guide will lead you through rustic unpaved roads, giant African Palm Plantations, cattle farms, and tropical towns such as Naranjito and Villa Nueva. 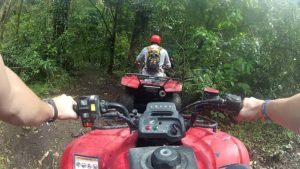 You will enjoy riding up and down winding mountain roads while surrounded by the diverse tropical vegetation of the rainforest. Finally you will arrive at a beautiful waterfall where you can swim in the refreshing and crystalline natural water. The price is $105 a single, and $135 double, tour in the mornings and afternoons available. 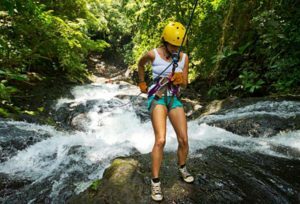 With platforms, zip lines, repel lines you are going to have a lot of fun, the trip begins with and amazing drive tropical rainforest were we are serving breakfast or lunch depends on the tour time, experts guides will lead you on this exciting adventure into the rainforest. Transportation is included, Photographer and all equipment necessary.To bring: hiking boots, long pants or shorts, camera. Good for everyone over the age of 5 whom is moderate physical condition. Schedule: 7: a.m. / 10:30 a.m. / 2:00 p.m.
We take you in to the rainforest to visit these amazing waterfalls and ponds to swim. In this activity you will see beautiful scenery on secluded beaches. 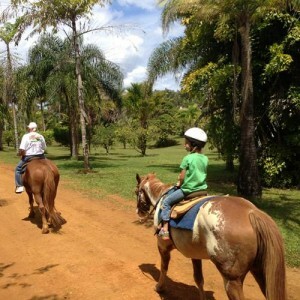 Well cared for horses, wildlife, toucans and also naturalist information, you can have a combination of a ride in the mountain and also in the beach, swim in the waterfalls. Price $69 per person. What to bring: hiking shoes, sun cream, swim suit, insect repellent, good disposition. 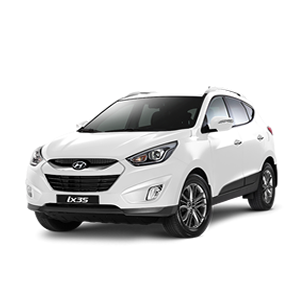 Transportation is included, also the bilingual guide, and insurance policies. Tour available morning and afternoon. See how many different kinds of flora and fauna you can spot just in the span of a 2 ½ hour hiking. Stop and enjoy some local fresh fruits and refreshments as you pause to savour tour adventure thus far. 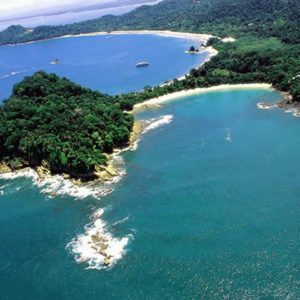 Learn about the history of the Quepoa Indians and Costa Rica’s past in regard to this stunningly beautiful Manuel Antonio area. Price $46 per person. Bring: hiking sandals, camera, sunscreen, bug spray, bathing suit if you want to take a swim after walking into the rainforest. Transportation included bilingual guide, entrance, snacks, and drinks. Pick up at 7:35am, private tour available. 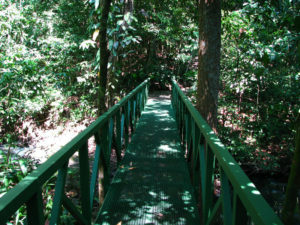 It is a conservation project located at 6 miles from Quepos, visitors can expect to observe a series of suspension bridges connected by platforms, the great biodiversity of flora and fauna found within the carefully designed hiking trails, certified nature interpreters guide throughout these trails to a series of waterfalls culminating to a natural pool at which our guests enjoy a refreshing dip. The astonishing views of the coastline, mountain stream, waterfalls and the magnificence of it’s rainforest, makes Rainmaker an essential destination for nature lovers. 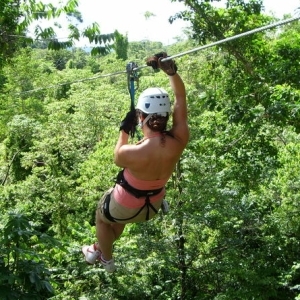 The tour includes natural juices, fresh fruits snacks, typical Costa Rican lunch and round trip transportation. Tour available morning and afternoon, price $80 per person other option offer is night tour per $ 55 To bring: bathing sweet, camera, repellent sun cream and hiking shoes. 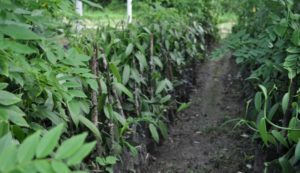 Villa Vanilla Spice Plantation, near from Quepos and Manuel Antonio is a tropical laboratory for sustainable agriculture with cash crops that include vanilla, cinnamon, cacao, allspice, black and white pepper, cardamom as well as a variety of exotic fruits and essential oils. We also showcase our unique collection of beautiful epiphytes (air-plants) including orchids, bromeliads, and tilandsias. Join us for a walk in tour, sample culinary treats featuring the farm’s products and visit the spice shop. Working closely with Ave Natura, a nature tour company, the reserve features a Butterfly Garden and special evening "Sound’s Image" presentations, "The Symphony of Nature". The Butterfly Botanical Gardens is a uniquely designed garden atrium with plant and insect exhibits. Duration: 1 hour. The Nature Interpretative Walk and Aquatic Tropical Gardens features a variety of local Flora and Fauna. Duration: 2 hours. The butterfly Botanical Gardens and Nature Walk, combination. Duration: 2.5 hours. Jungle Night Walk "A unique odyssey into the nocturnal world of the tropical rain forest. Visit the amphibian water gardens and listen to the nightlife of over a dozen species of frogs. 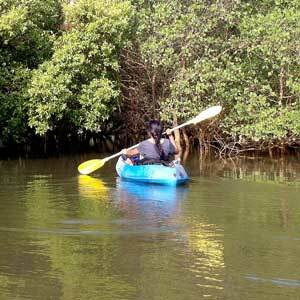 Departs 5:30 pm, bird watching and Nature Interpretative Walk. Duration: 1.5 hours price $45 per person. Butterfly garden available at 1:00pm.